Tired of your big dollar power adder car not making any power? 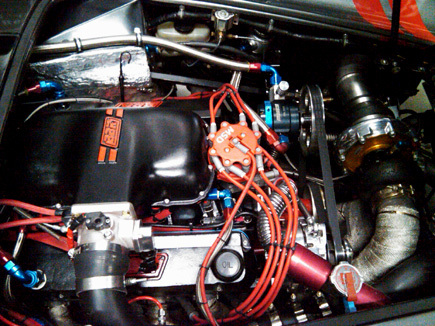 Does your new turbo setup make less power than your old naturally aspirated motor? Tired of having to pay $6 a gallon for race fuel? Consider methanol injection. Today's methanol kits have really revolutionized the ability to run big boost with cool intake temps, all on pump gas. 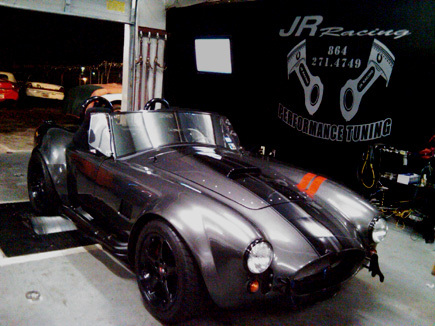 Case in point is Everett's beautiful Factory Five Cobra which has a turbocharged 5.0 engine. It came to us with some serious issues with low boost, high intake temps, and mediocre power levels. With no intercooler, it developed extremely high intake air temps even at very low boost levels. 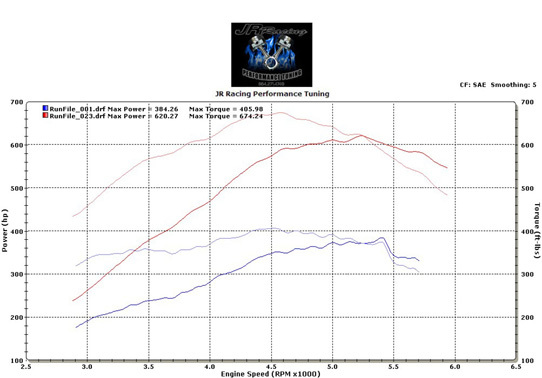 The first pull on the dyno at only 6#'s of boost 175 degree air temps and a disappointing 384 rwhp! Due to the high intake temps, we had to run a very rich A/F ratio along with a power-robbing low timing table. We were fortunate though that Everett built his car with some very good equipment including a Ford Motorsports R block, Tremec transmission, a stout 8.8 rear end, and a very quick spooling ball bearing 66mm turbo. This drivetrain, along with a F.A.S.T. 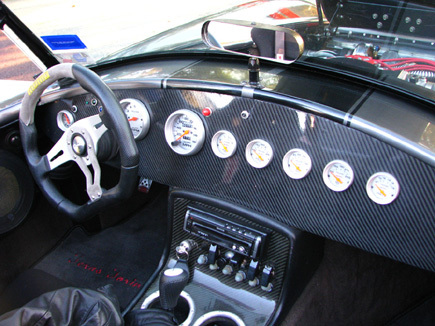 XFI fuel injection controller, meant the car was not lacking the top shelf hardware it needed to make some serious power. We knew we had to get a handle on the intake air temps before increasing the boost to really let the car live up to its full potential. Everett wanted to try a Snow methanol kit to see what could be done. Snow has been one of the biggest driving forces in the methanol business and they really put together a fantastic kit. Their stage 2 setup included a slick variable pump output controller which allowed us to bring in small amounts of methanol at low boost levels and automatically increase the flow as the boost level increased in the upper rpm band. On the very first pull it was obvious that the Snow kit was the key to making some power with this car. At 6#'s of boost the intake air temps went from 175 degrees down to an incredibly cool 97 degrees! The meth was so good at cooling the intake temps that the air was cooler under full boost than it was at idle! Since the high air temps were a thing of the past now, we could start letting this cobra really start making some noise. The first thing everybody wants to do with a turbo motor is turn up the boost and with the very stout short block and a high capacity fuel system we didn't hesitate to do just that. Using a simple but very reliable manual boost controller, we started to increase the boost to try to find the sweet spot for the 66mm that was mounted under the hood. Several different boost levels were tried including over 20#'s, but we finally settled on 18#'s. The turbo simply couldn't flow any more CFM and was pretty much maxed out (increasing the boost levels did not result in any more power). Now with much higher boost levels, everyone was waiting on the air temps to start to rear its ugly head again--but the methanol kept it under control. The progressive controller was set to start the flow at 4#'s and then ramp up to full flow at 15#'s. The advantage of the progressive controller is that it allowed us to use a dual nozzle kit with some very large jets without drowning the motor out with too much meth at low boost levels. Going from 6#s to 18#s we only saw the air temp rise to 115 degrees, and these were back to back runs without any long cool down times. With just the increase in boost the little cobra was now making over 500 rwhp and we still hadn't yet taken full advantage of the meth. With methanol having an octane rating of 116 it is like having race gas in the tank all the time. Lots of octane means the ability to run additional ignition timing, the key to making even more power. Everybody in the shop was getting excited to see what could be done since it had already responded so well to the changes thus far. With a much cooler intake air charge and lots of high octane methanol, we started to very carefully add timing in 1 or 2 degree increments throughout the rpm range. The car really came alive with some very minor tweaks in the timing table and spun the rollers to an incredible 620 rwhp and a stump pulling 674 ft-lbs of torque from only 302 CI. 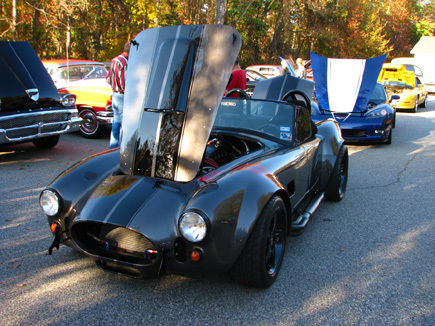 Everett's Factory Five turbo Cobra "Texas Toxin": Big numbers and light weight make for a great combination!